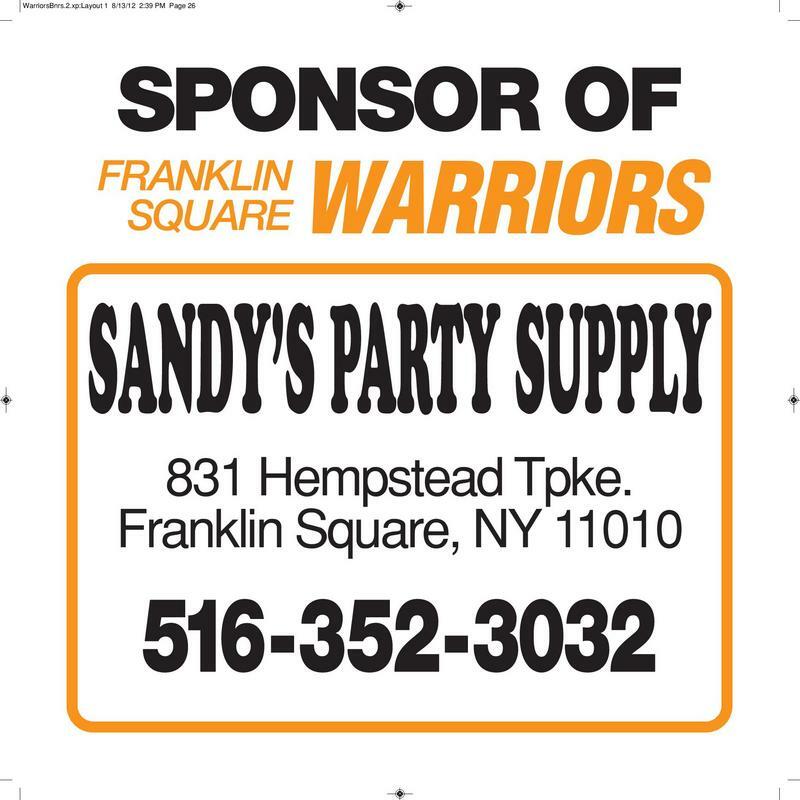 Our recommended donation of $250.00 is tax deductible. 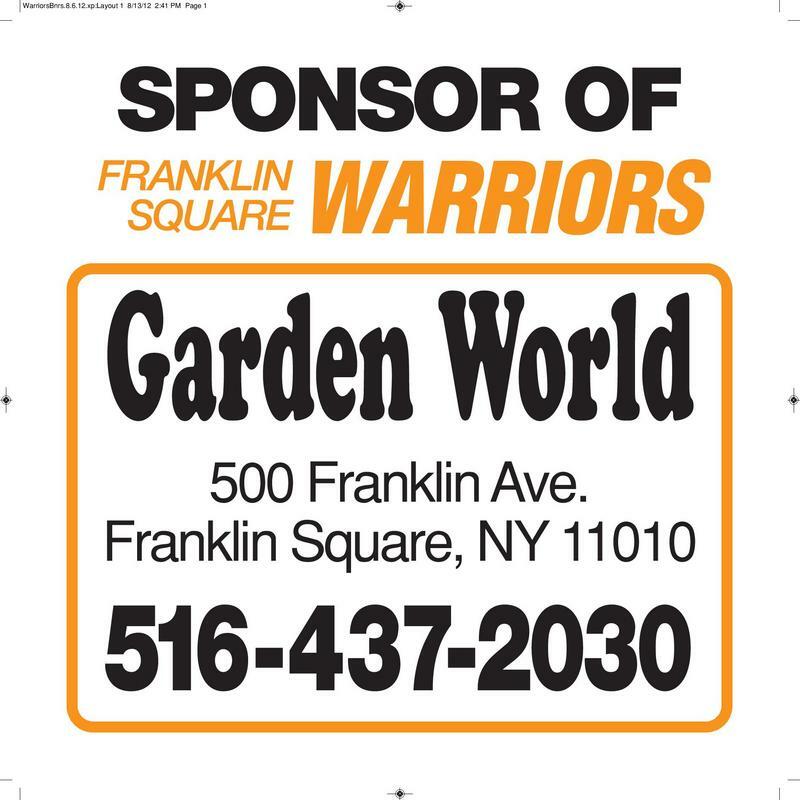 4 x 4 foot sign. 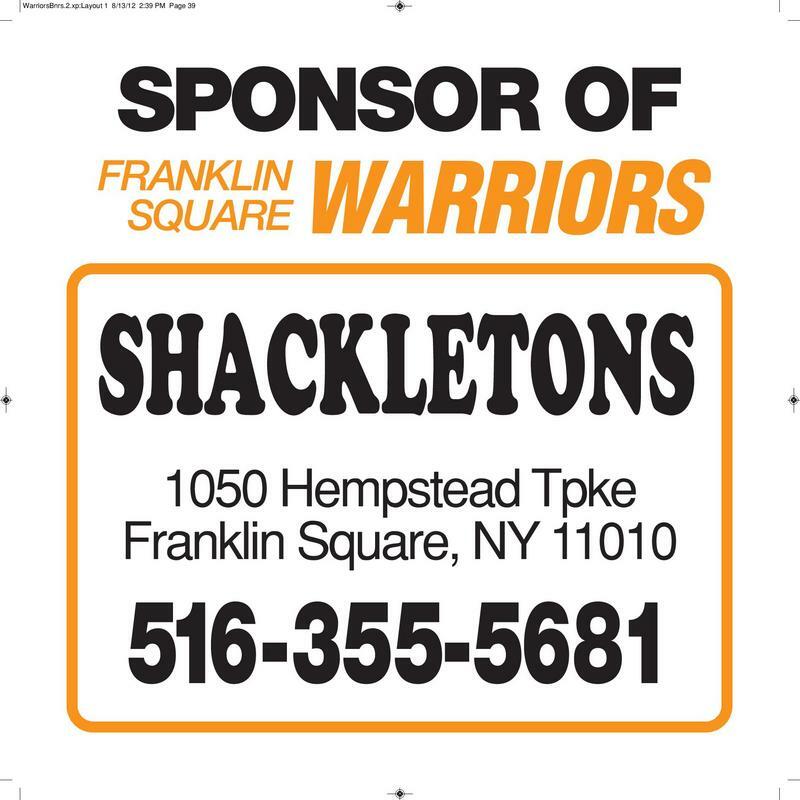 The sign will display your business name, address and telephone number and will hang all season at the Rath Park football field. 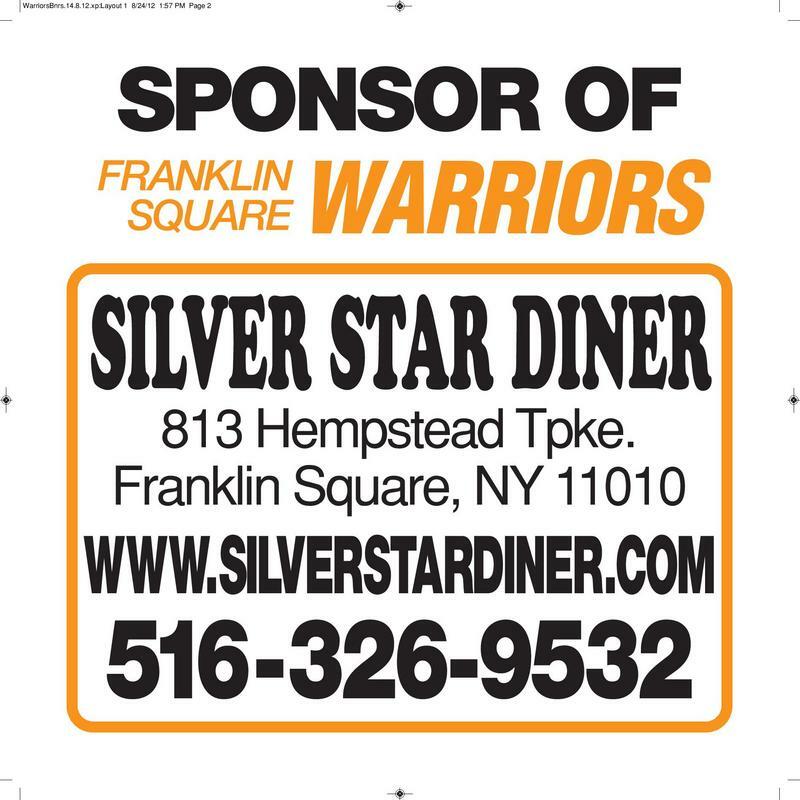 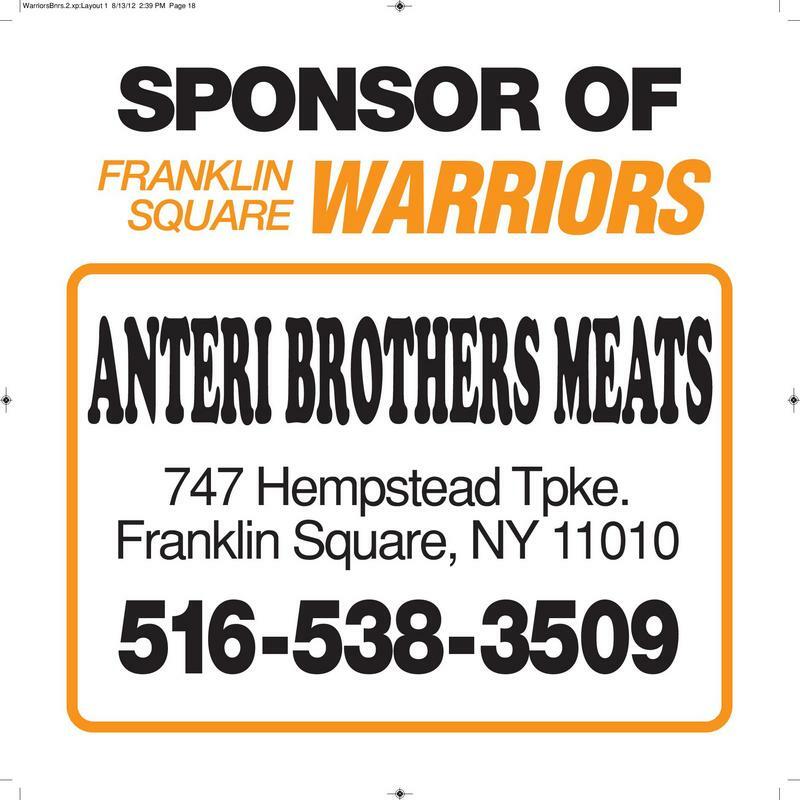 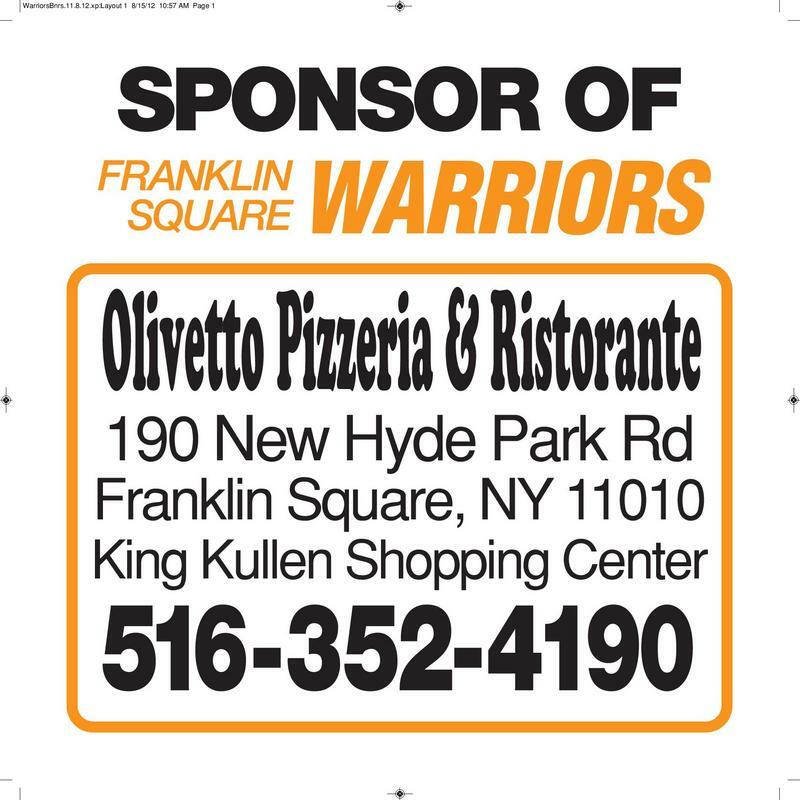 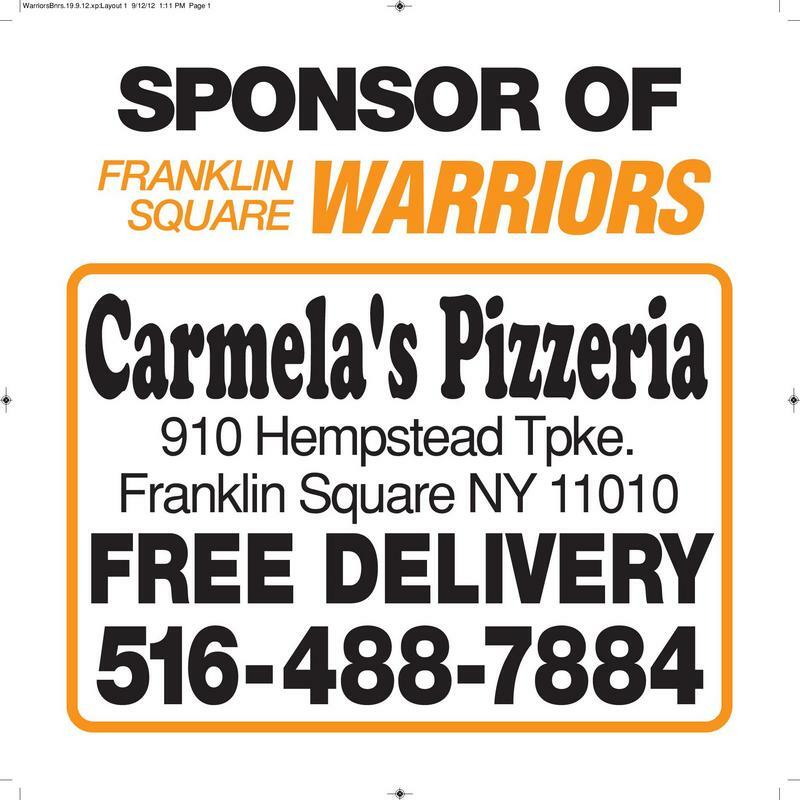 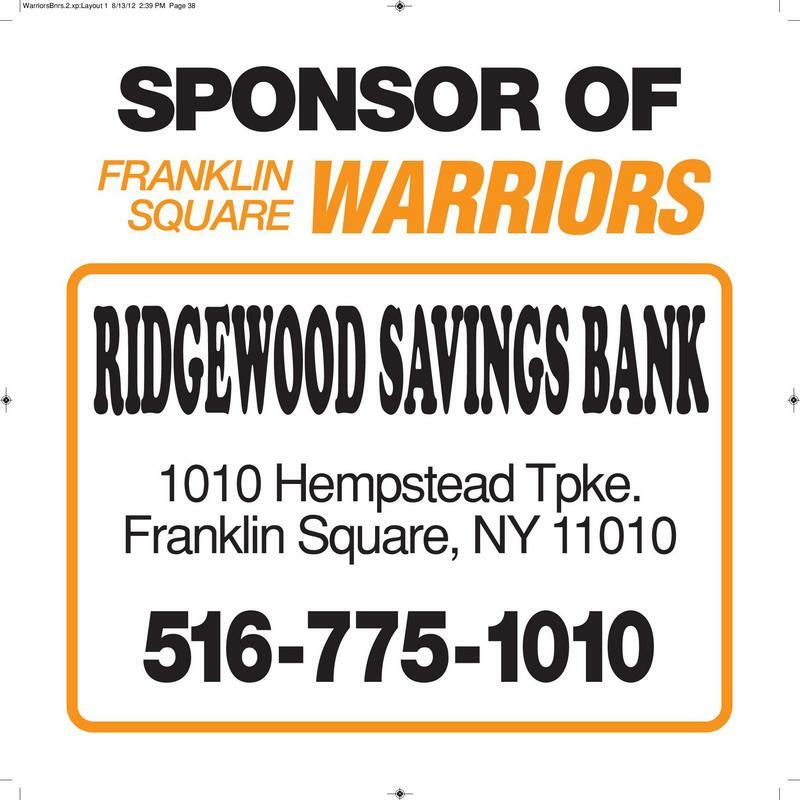 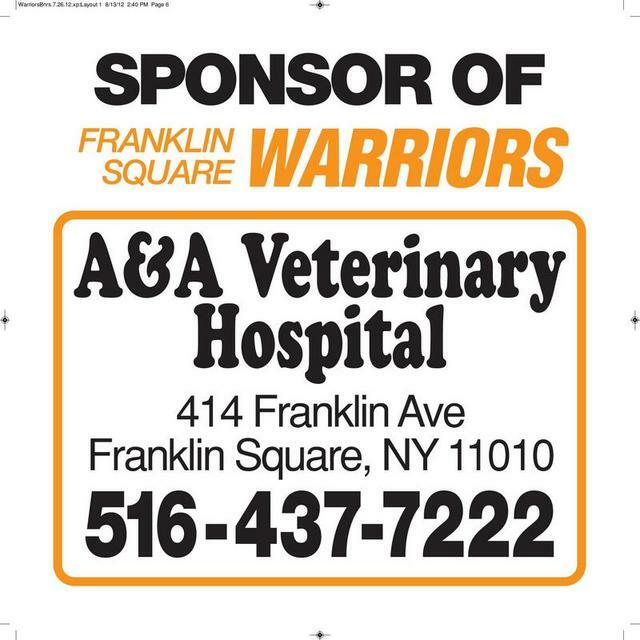 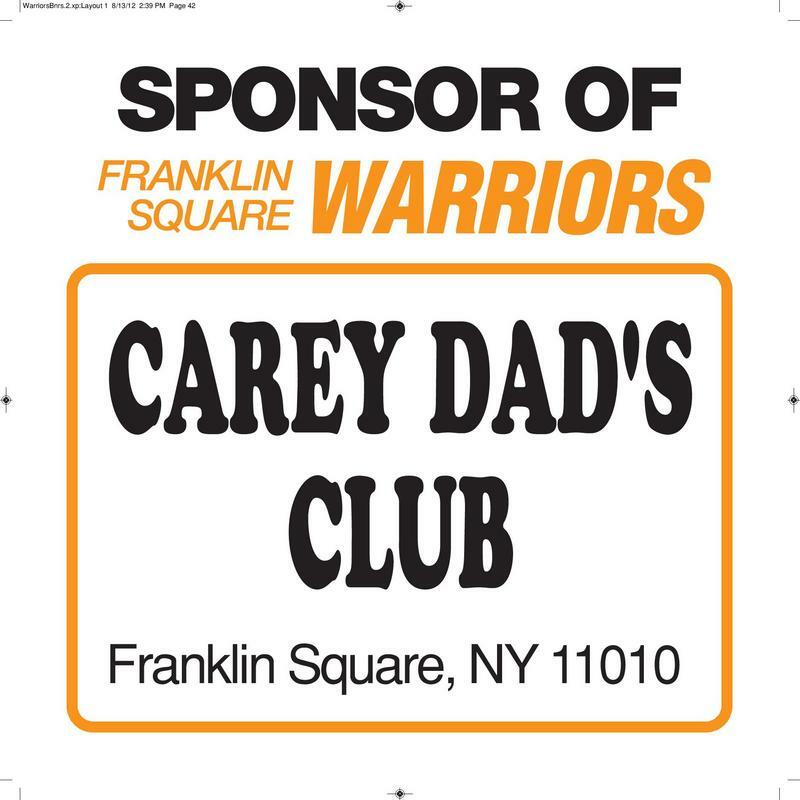 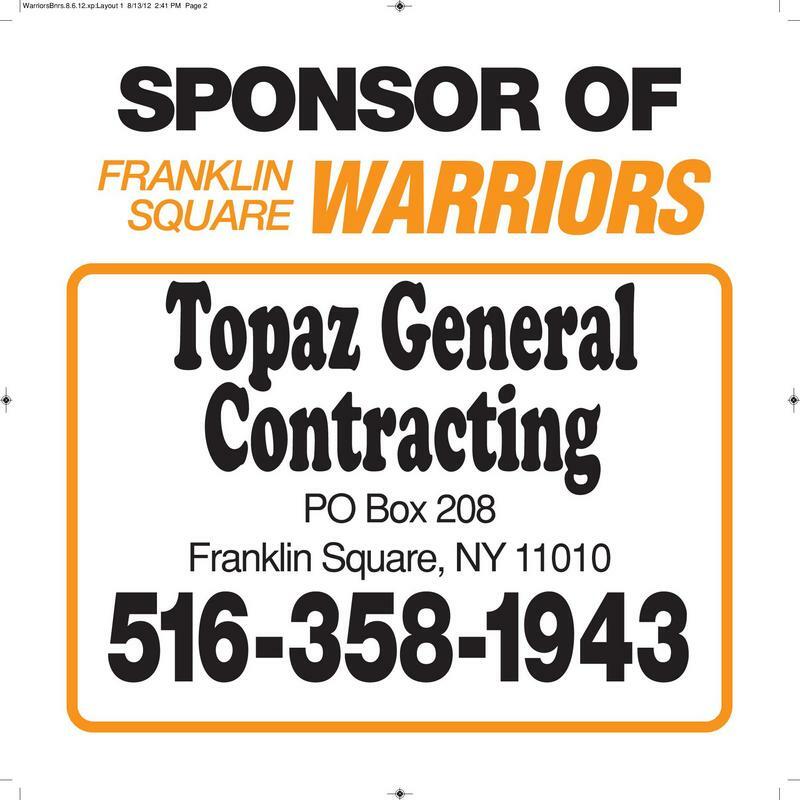 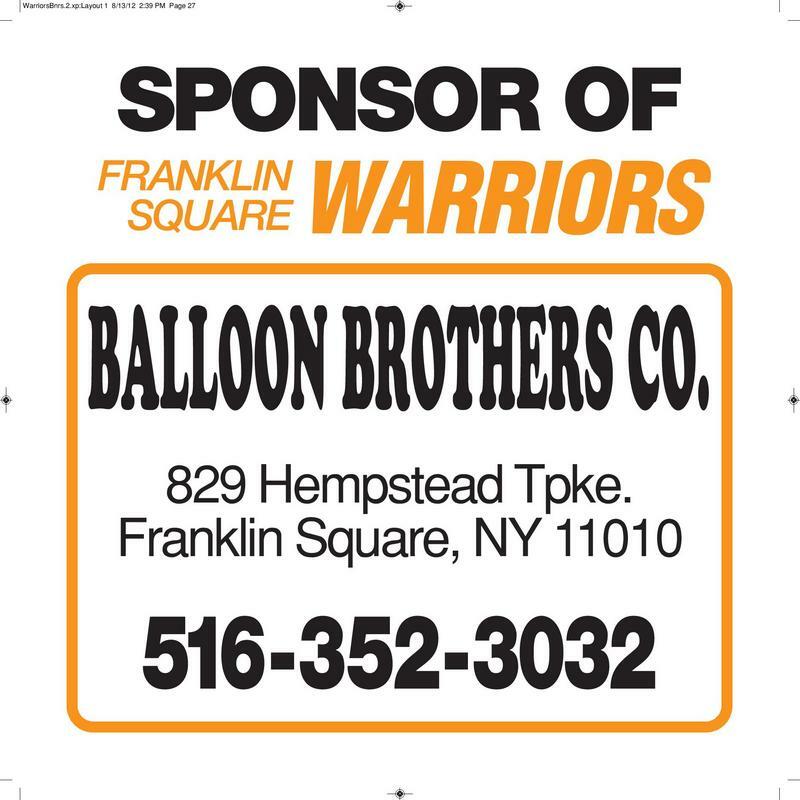 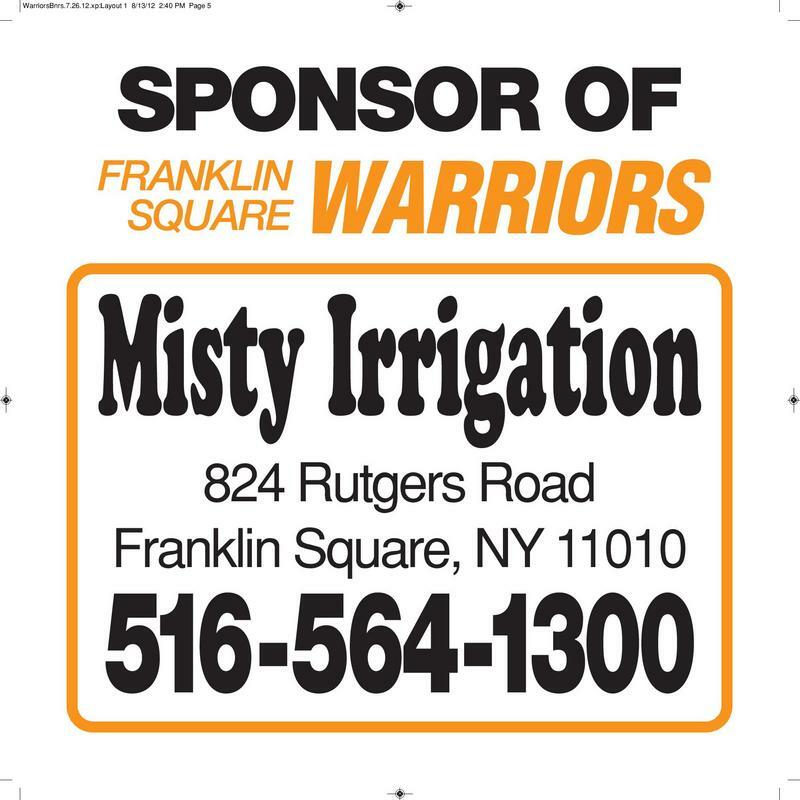 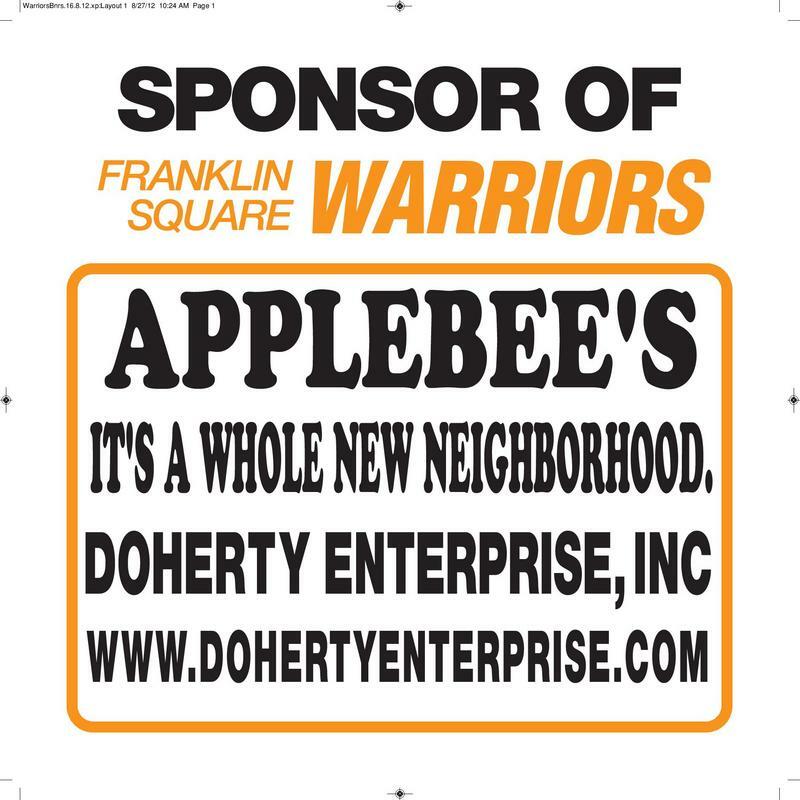 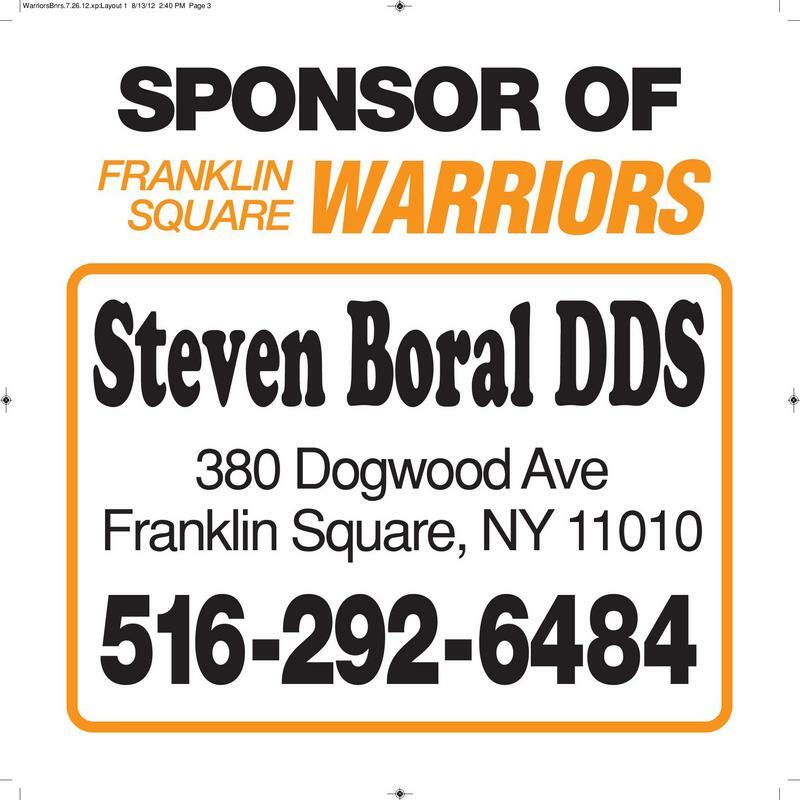 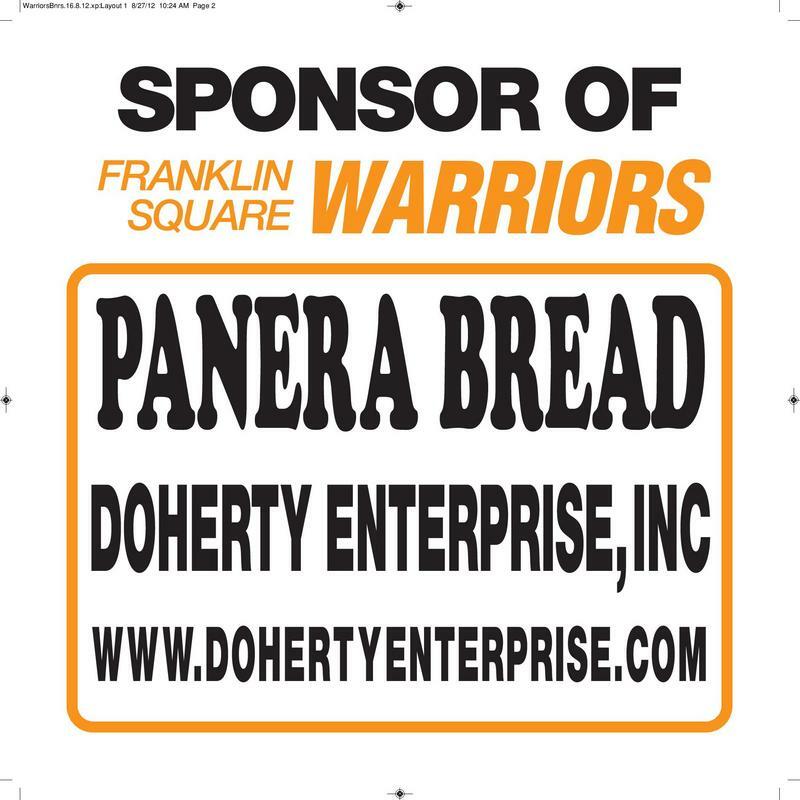 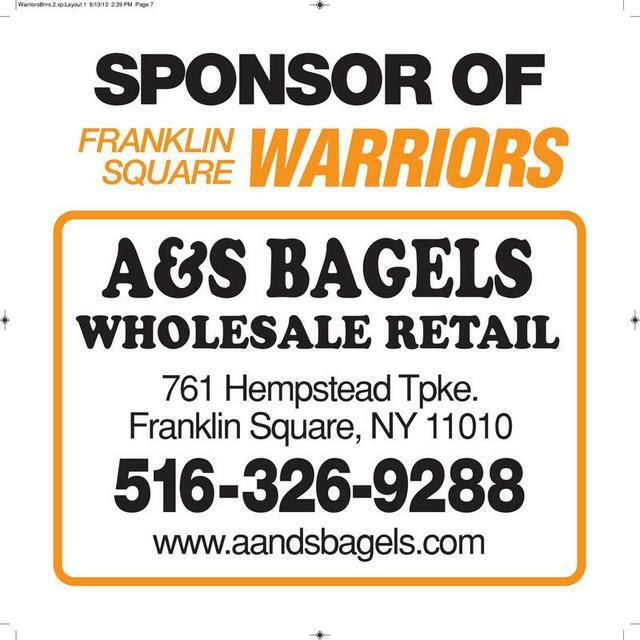 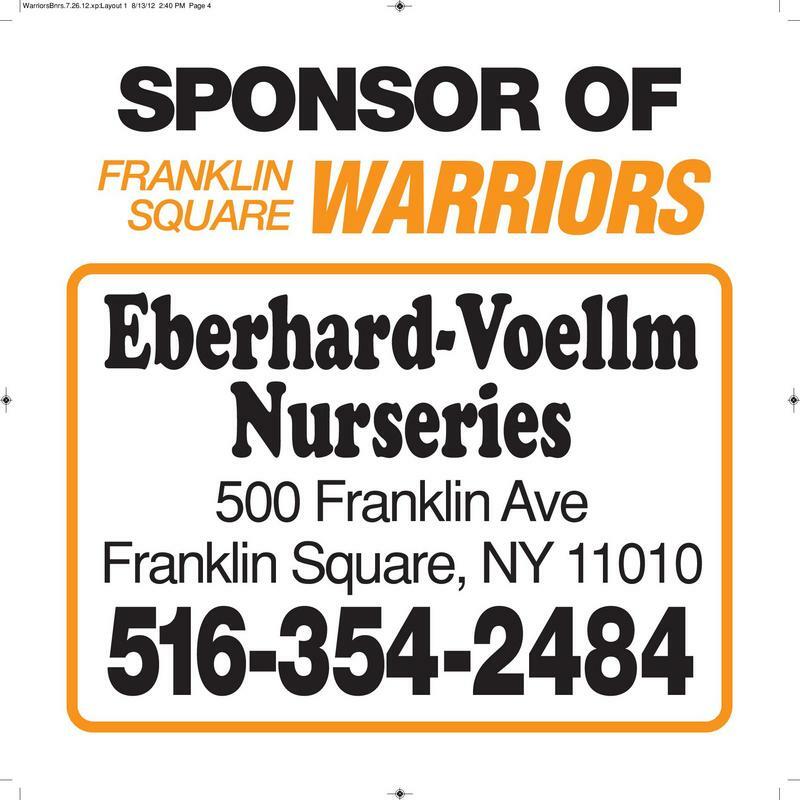 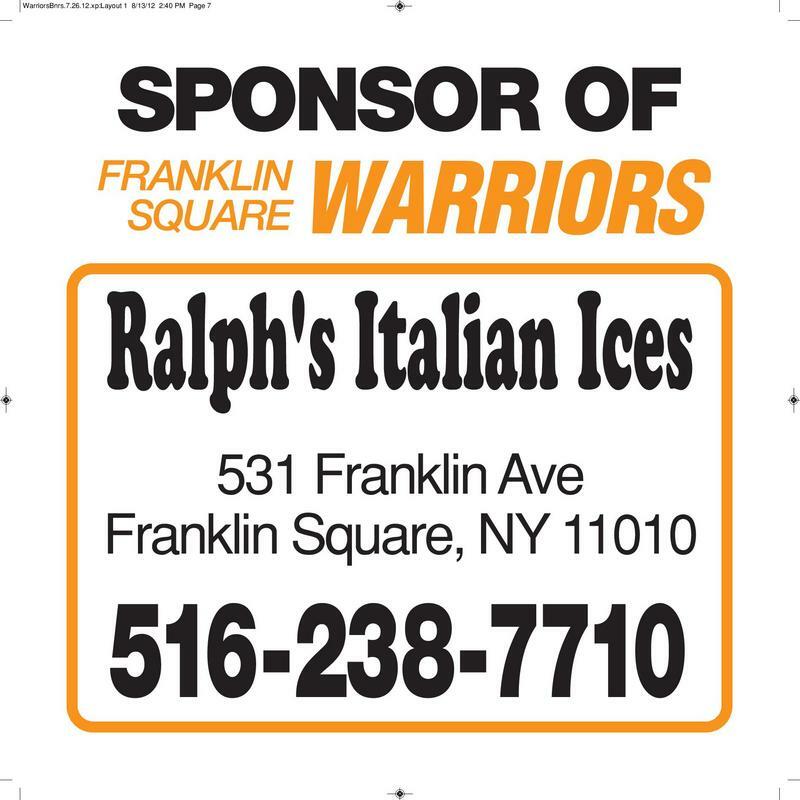 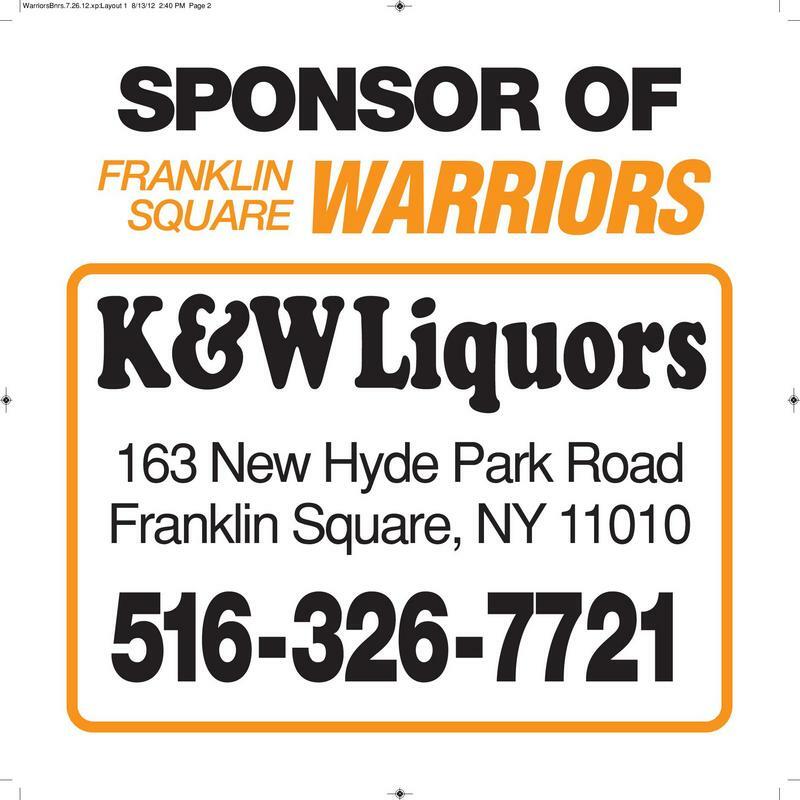 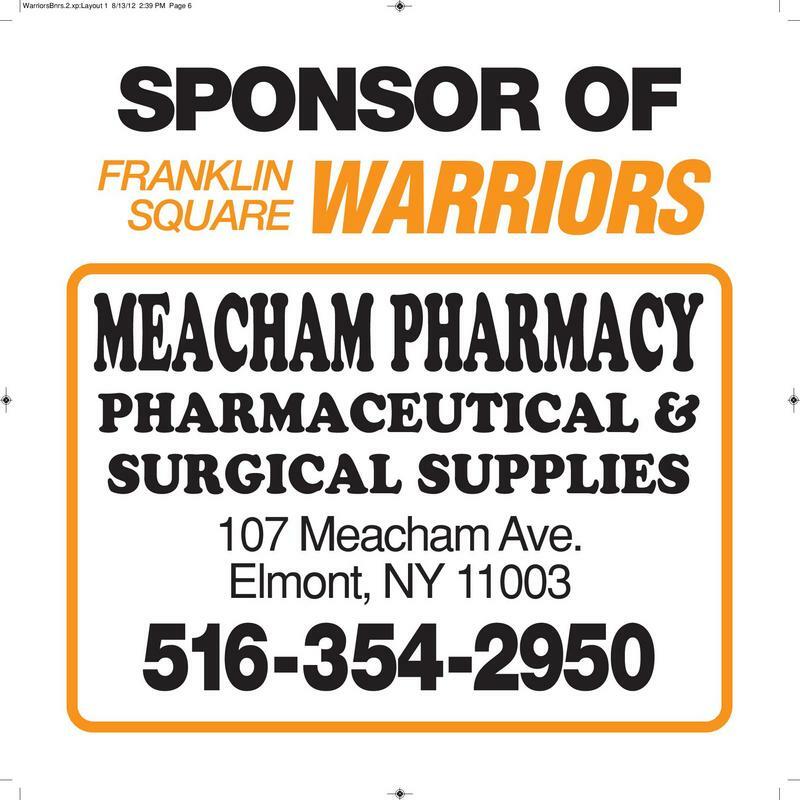 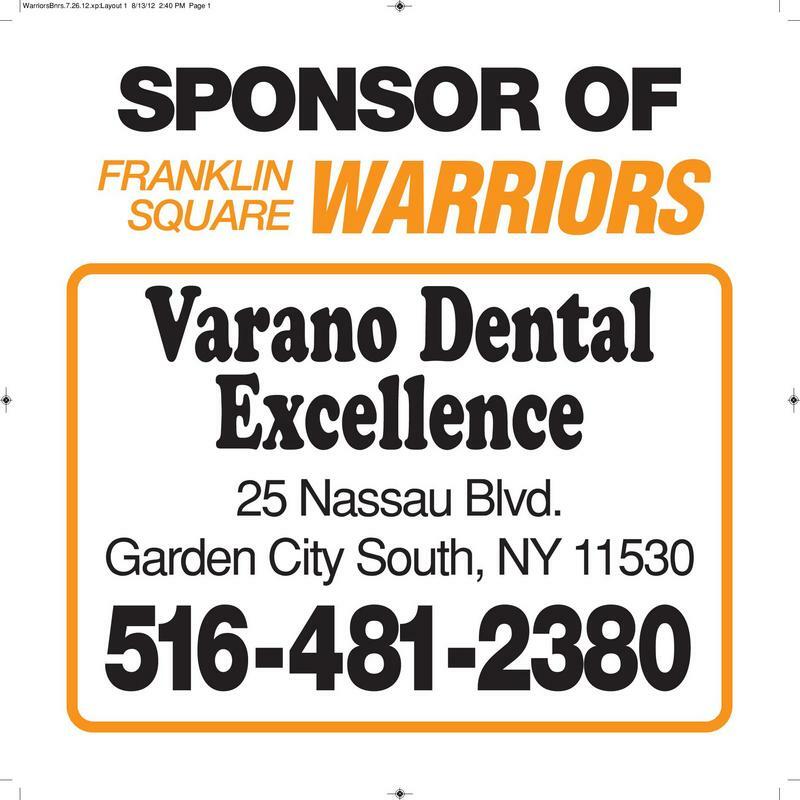 Additionally, you will receive a spot on our website (www.franklinsquarewarriors.org), a full page ad in our journal which is given to every player at our awards dinner, and a plaque. 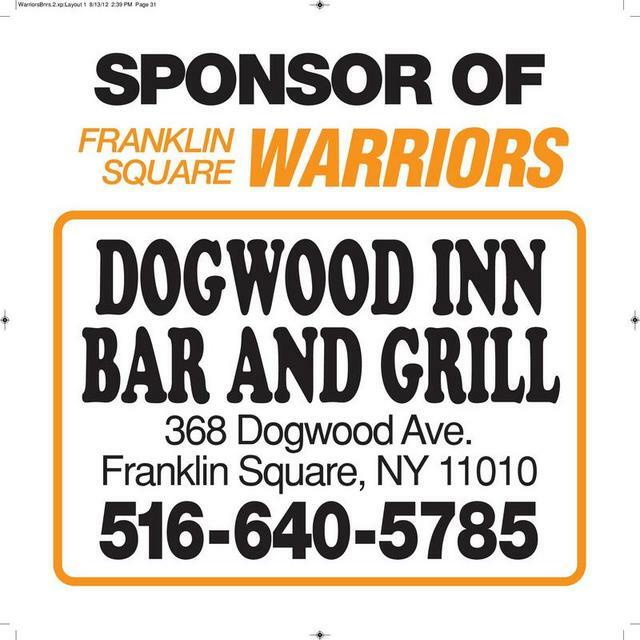 This plaque will contain your business name and a team picture and will be given to you to display in your establishment. 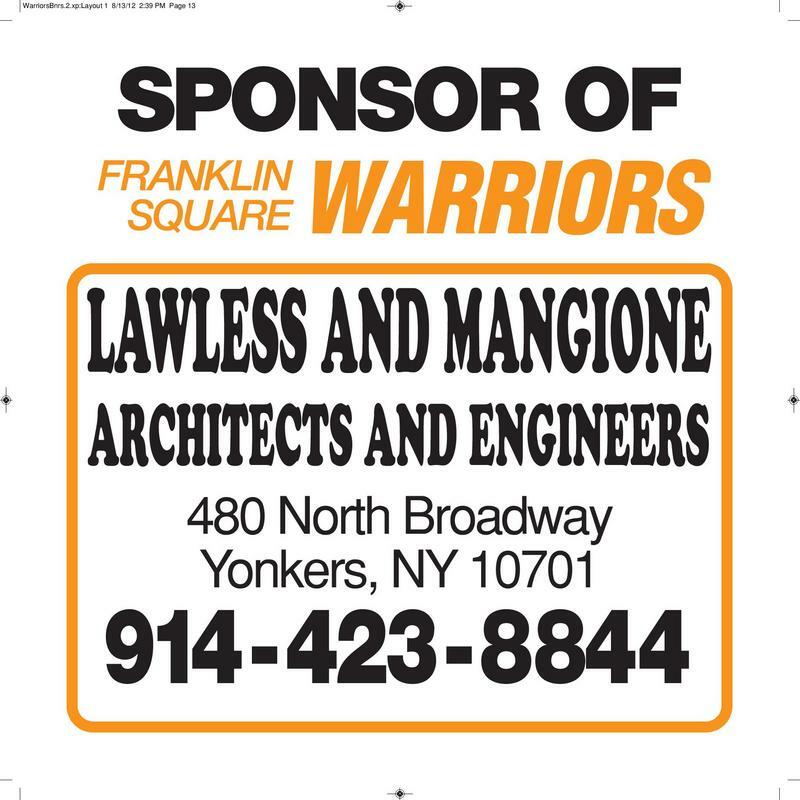 Click here to download a sponsor form or E-mail us for more information.